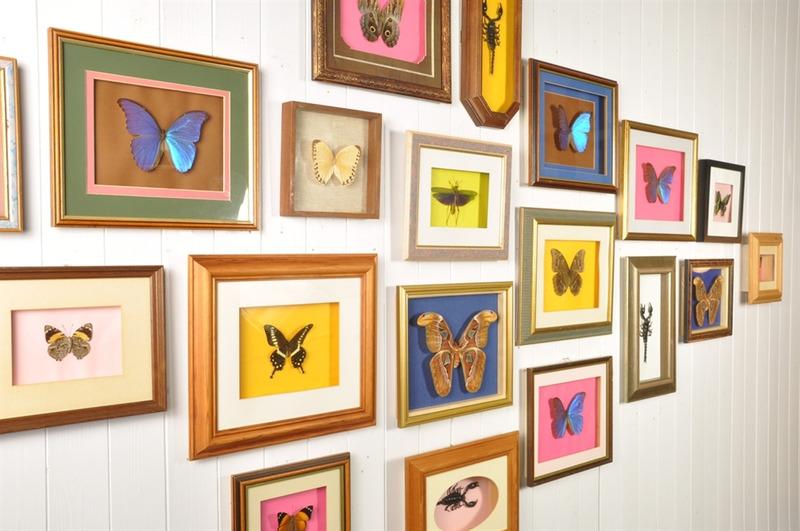 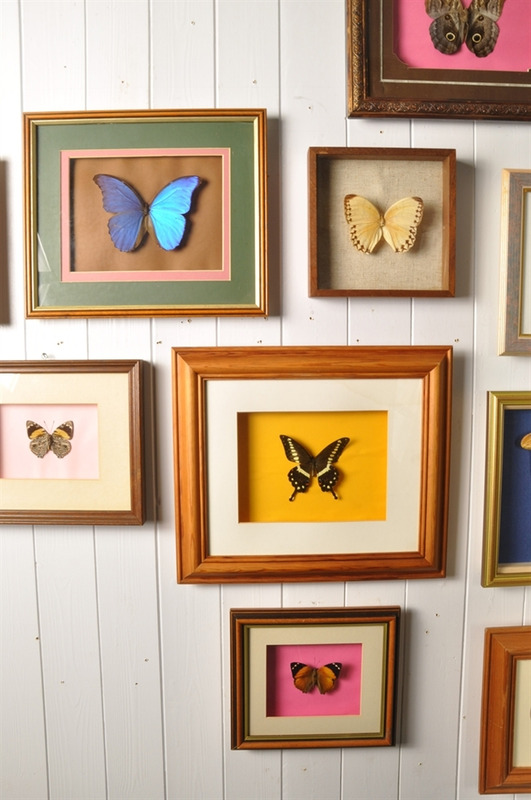 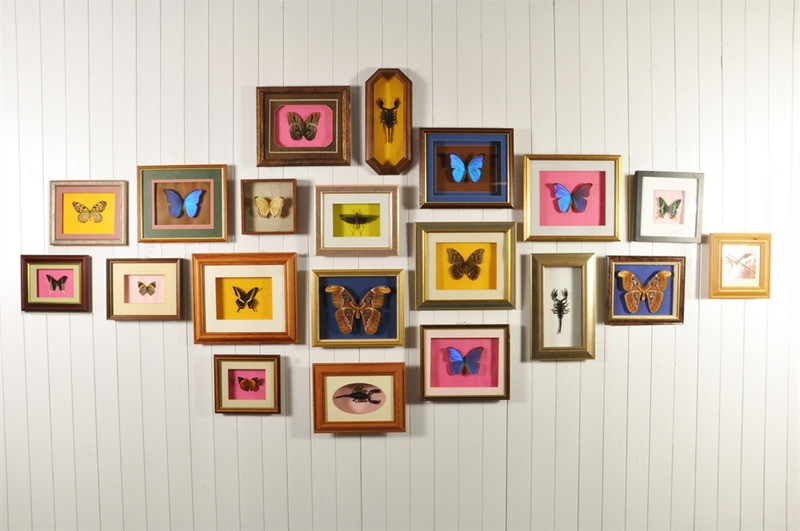 Collected from all over the world these vintage butterflies moths and insects look great as a set mounted on a wall. 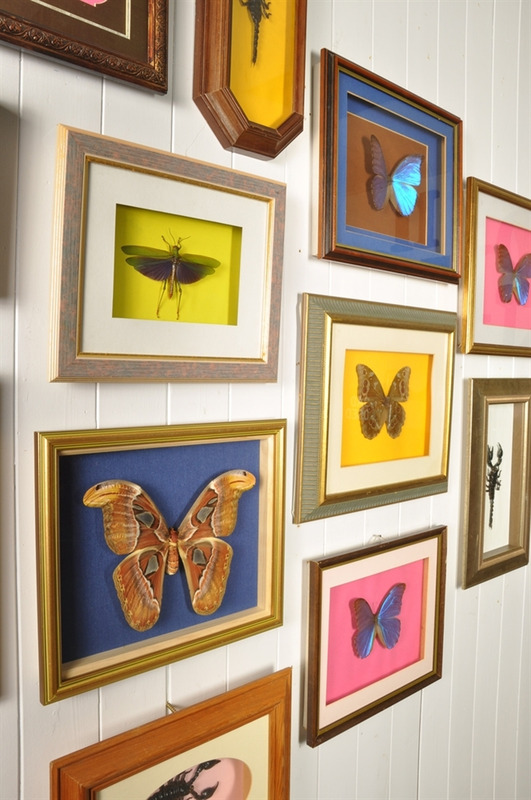 The specimens have some age to them but the frames are not particularly old and have been re-mounted. 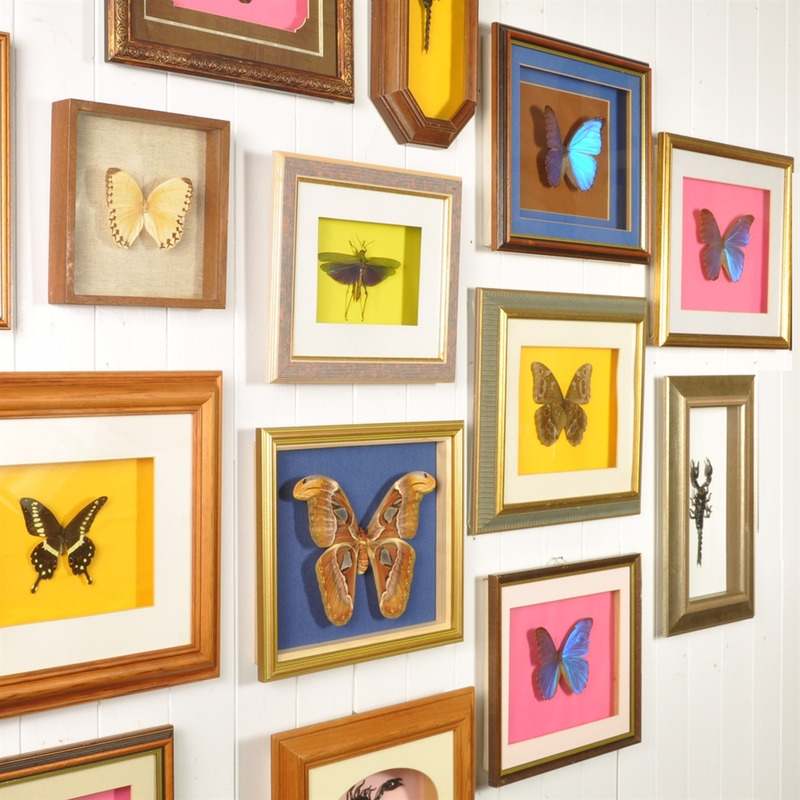 A few bumps and scrapes to the frames. 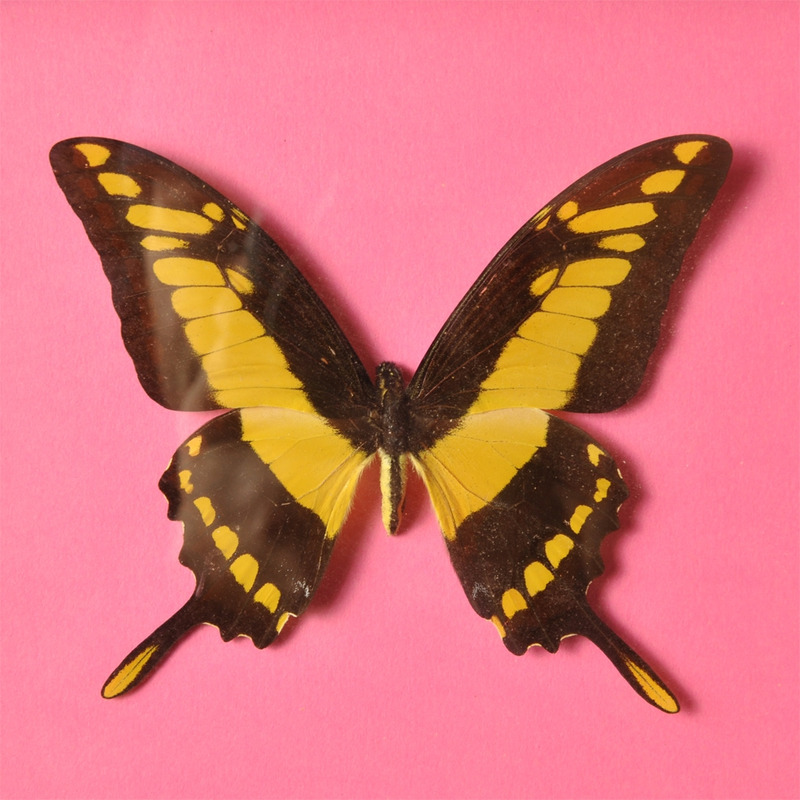 Sold as a collection of 20, most have the description on the reverse. 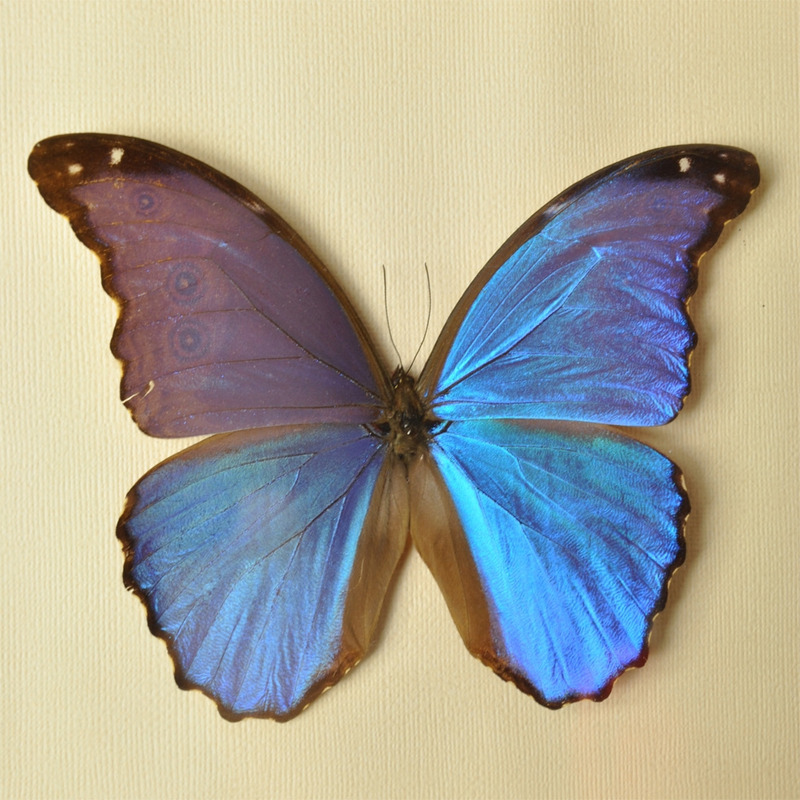 The silky blue ones are Morpho Disius from Peru. 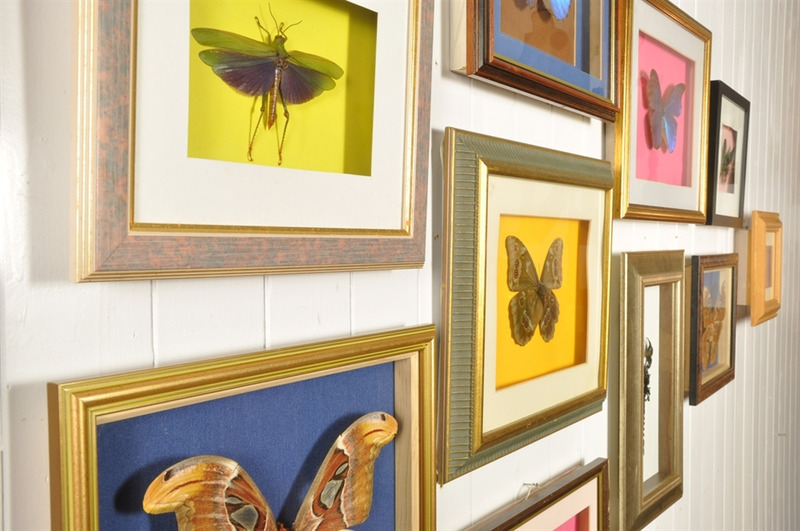 The huge moths are Atlas Moths from Malaysia. Smallest 20 cm x 15. 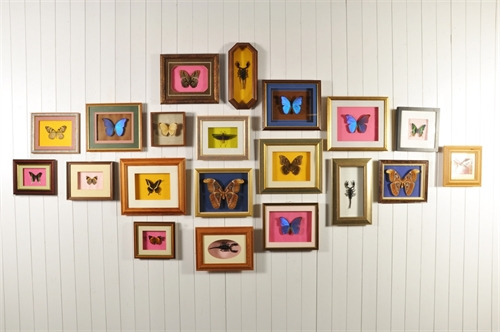 As the collection mounted in the pictures 130 cm h x 290 w.